Improving the safety of your home by trimming or removing trees that have become too large and are taking over your yard. Keeping fruit trees growing at a level where you can more easily harvest the fruit. Reducing the amount of natural debris and mess that your trees leave behind in your yard each year. Allowing you to clear the space needed to plant grass or other landscape features. 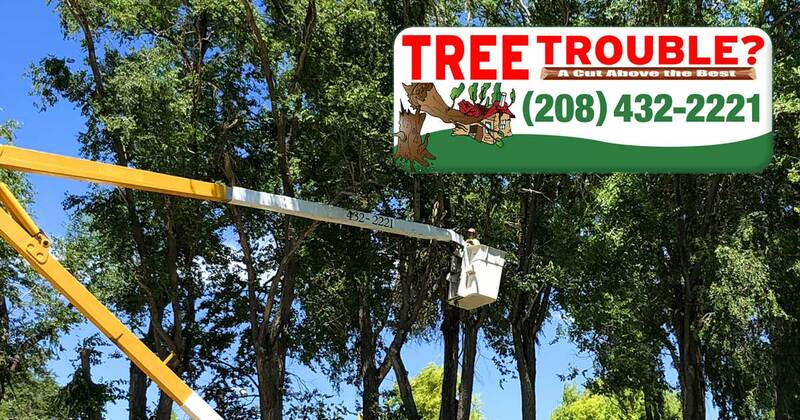 In addition to trimming and cutting down the trees that you no longer want at your Magic Valley home, we will haul away the debris and will grind the stump so you do not have to worry about the stump getting in the way of other landscape projects, farming plans or other future needs. Call us today to learn more!